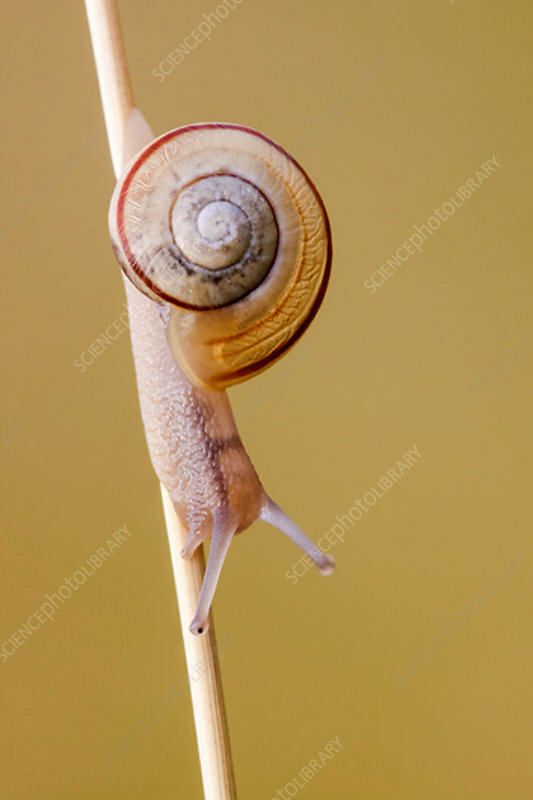 A white lipped, or garden banded, snail (Cepaea hortensis) active on a tall grass in a limestone grassland habitat on an early morning in late summer. A common species found across Europe with a wide variation in shell colour and banding. Photographed in Somerset, UK, in August.